Briseida Valencia Soto, Research Associate at Council on Hemispheric Affairs, analyzes the allure of Mexico’s narco-economy for workers in the country’s informal sector. Mexico’s disenfranchised often see the illicit drug economy as an escape route from poverty. 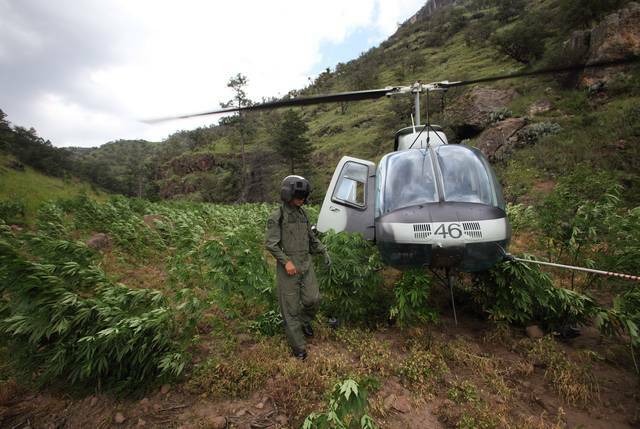 Mexican drug cartels post annual gains between approximately $18 and $39 billion USD. For Mexico’s poorest, the promise of quick and exorbitant profits is often too enticing to pass up. To put the allure of the drug trade into context, take for example the juxtaposition between Mexico’s drug and crude oil economies: In 2014, crude petroleum, Mexico’s primary export, was worth $37 billion, an estimated $3 billion less than the illicit drug economy’s worth at its highest value. The oil industry, which until recently was controlled by PEMEX, the national oil company, employed 151,000 workers in 2013. In the early 1990s, the Sinaloa Federation, the largest and most powerful cartel conglomerate at the time, employed an estimated 100,000 individuals. While PEMEX’s 2014 workforce is somewhat larger, it is important to consider that the Sinaloa Federation was only one of dozens of Mexican drug trafficking organizations (DTOs) in the 1990s. As such, it is logical to conclude that the illicit drug economy in the ‘90s offered employment to a massive workforce. Since the ‘90s, Mexico’s drug industry has only grown in scale. To make matters worse, the narcotics industry, while far riskier than the formal economy, offers Mexico’s poor viable work opportunities. Recently, the spike in heroin use in the United States (a 90 percent increase between 2002 and 2013) has contributed to a boom in production and illicit employment opportunities. Moreover, because of the state’s failure to suppress the drug economy, the drug business has taken on a veneer of folkloric invincibility that contributes to its attractiveness. To read the full article from Council of Hemispheric Affairs, click here.